Aluminum windows prices can vary anywhere between $400 and $1,000 for double hung windows that are fully installed. These are the mid to higher end price range for any residential window. 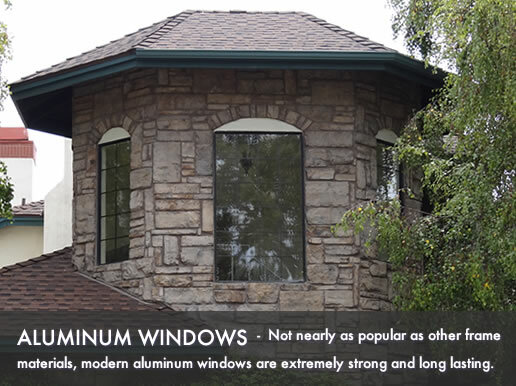 Not nearly as popular as other frame materials, modern aluminum windows are extremely strong and long lasting. Prices vary depending on the window size, glass package and manufacturer. These windows are usually in the same price range as fiberglass and wood clad windows. For more pricing, use our replacement windows cost estimator. Entry level aluminum window prices usually include a low end glass option without any fills, insulation or uv coating. These windows are often available in what is called a fixed frame, this means you cannot open the window to allow air flow and they will be quite limited when it comes to the features, upgrades and color choices available. Find project pricing on different styles and frames. The mid-range pricing offers a more energy efficient glass package and usually some bells and whistles from the lower end models. There is more variety when you choose the mid-range options when it comes to the type of windows - expect awning, casement and double hung, all of which open to allow for ventilation. You'll also have more options when it comes to the features, frame reinforcement, upgrades on hardware and color choices. The higher end prices normally are offered from well known manufacturers and have lots of features and upgrades. The glass will be a low-E glass with krypton or argon fill (double or even triple paned), super spaces and foam insulation. You'll have a choice of window options including casements, double hungs, bays and bows along with a high end selection of hardware and frame color options. You can expect to pay anywhere from $75 to $250 for each window when it comes to installation. The price is determined by the amount of work required. If you just need a basic replacement you will pay between $50 and $100 per window. This price is then increased if any work is required such as framing or finishing work. You'll also find that certified installers and high end manufacturers charge a higher price for installation. Entry level prices start at $350 and top out at $500 for each installed window. Mid-range prices start at $500 and top out at $700 for each installed window. Higher end prices start at $700 and top out at $900 for each installed window.